Freedman's Village, established by the federal government in 1863, was intended to provide temporary accommodation for newly freed slaves, but it survived as a community for over thirty years. When the government closed it, many residents relocated to Nauck as well as to other small communities in Arlington. 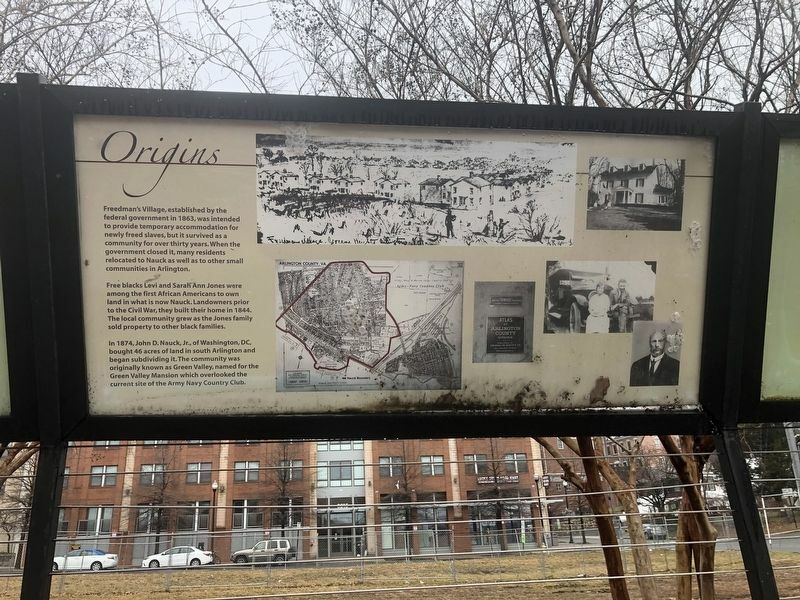 Free blacks Levi and Sarah Ann Jones were among the first African Americans to own land in what is now Nauck. Landowners prior to the Civil War, they built their home in 1844. The local community grew as the Jones family sold property to other black families. In 1874, John D. Nauck, Jr., of Washington, DC, bought 46 acres of land in south of Arlington and began subdividing it. The community was originally known as Green Valley, named for the Green Valley Mansion which overlooked the current site of the Army Navy Country Club. at or near this postal address: 2406 Shirlington Road, Arlington VA 22206, United States of America. Touch for directions. Other nearby markers. At least 8 other markers are within walking distance of this marker. Green Valley Pharmacy (within shouting distance of this marker); Drew School (about 400 feet away, measured in a direct line); Lomax AME Zion Church (about 600 feet away); Macedonia Baptist Church (about 700 feet away); Washington and Old Dominion Trail (approx. 0.3 miles away); Tracks Into History (approx. 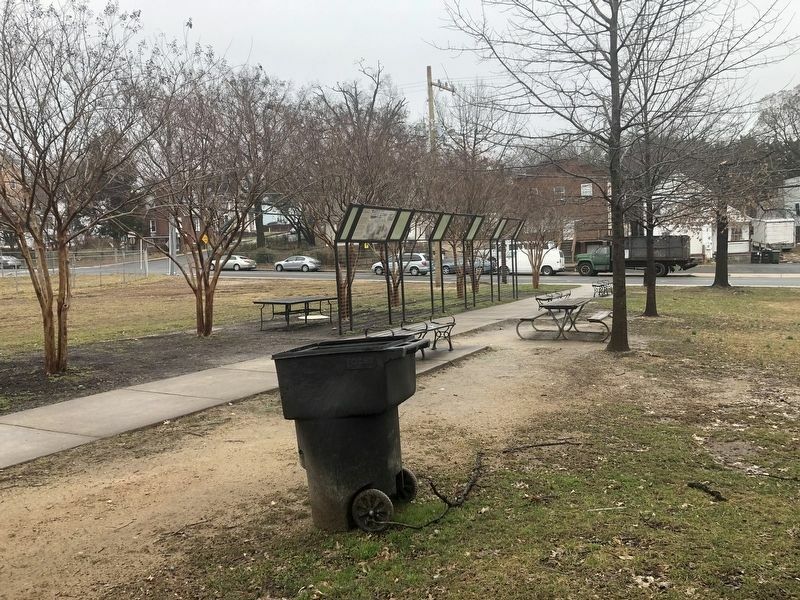 0.3 miles away); Nauck: A Neighborhood History (approx. 0.3 miles away); This is W&OD Trail: Shirlington! (approx. 0.3 miles away). Touch for a list and map of all markers in Arlington. More. Search the internet for Origins. Credits. This page was last revised on March 11, 2019. This page originally submitted on March 10, 2019, by Devry Becker Jones of Washington, District of Columbia. This page has been viewed 46 times since then. Photos: 1, 2. submitted on March 10, 2019, by Devry Becker Jones of Washington, District of Columbia.